With the new expansion, Gunrunning, to the GTA 5 online mode you can become a weapon dealer and organize your business in peace and be protected from the competition (and the police), you can buy underground bunkers. In addition to secure shelters, the new expansion offers more possibilities to spend money. Flying rocket motorbikes or armored APC wagons are some of it. When you enter the world of GTA 5 Online, you can now enter the business of arms traders as CEO, VIP or MC President. 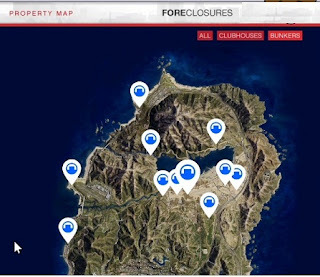 Access the Internet via your mobile phone in the game and open the Mazebank Foreclosure website. There you will find an overview of all the bunkers, which are available in the game. In total, there are 11 buildings in the price range of 1, 165, 000 GTA% to 2, 375, 000 GTA $. Once you have decided on a building, you can equip the bunker according to your needs. Personal Quarters: You can open personal rooms in the bunker. These cost again $ 265,000. Shooting Range: With a shooting range within the bunker, you can test your skills with the gun. There are two versions in black (GTA $ 740, 000) and white (GTA $ 845, 000). Gun Locker: A weapon in the bunker costs you $ 175,000. Transportation: For fast (underground) transport under the ground, you can use pimped golf carts. Depending on the design, these cost $ 85, 000 or $ 120, 000. In addition to bunkers, there are also interesting vehicles in the new DLC for GTA 5 Online. The mobile operations center is available from $ 1, 225, 000 in the game. But you need a bunker to buy and store. 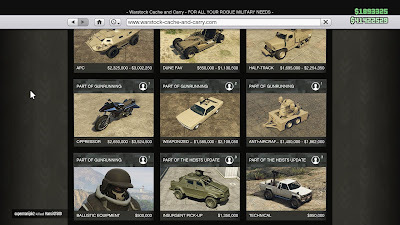 At Warstock there is a selection with six new vehicles, which have two price options. The more favorable option must be unlocked by missions, which you can start as owner of a bunker. 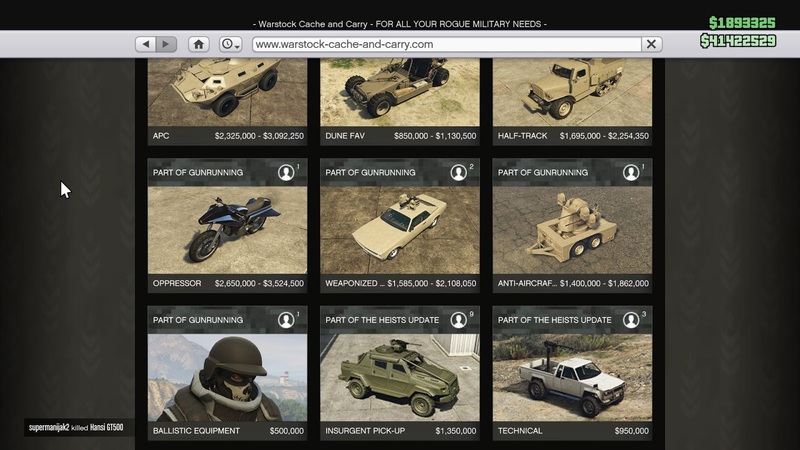 A further offer at Warstock is the ballistic equipment. For $ 500,000 you get a military full body armor and a minigun. The right combination to clear any misunderstandings with other online gamers. With the new update, not only military vehicles come into play, but also cars of the popular super sports car class. However, these will not be released until the next few weeks. The prices of the cars are also available - FoxySnaps.